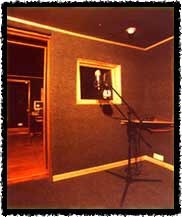 There are 4 main recording rooms available, plus an isolated booth. 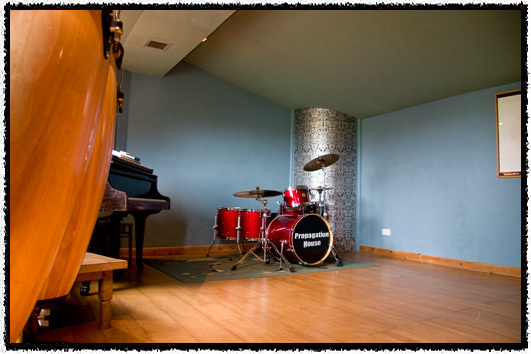 Whether catering for one artist looking for the perfect room / acoustics for a performance or a full ten piece band wanting to record live together, we have the facilities to meet your needs. Some artists have also taken advantage of our peaceful location and recorded outside, with great results. 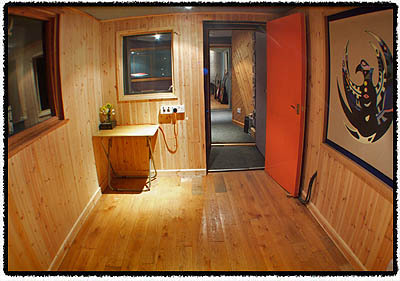 This is our main recording room. 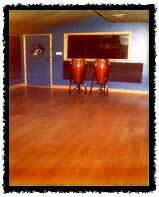 We are particularly proud of the drum sound. This room is almost all wood. you can see into Liveroom 1 from here. of any reverb, ambience and interference. Room size 10ft X 9ft. 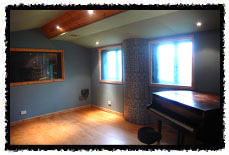 Just 10 minutes from the studio we have the use of this lovely hall. its very unusual to find a room like this that's not in a town. 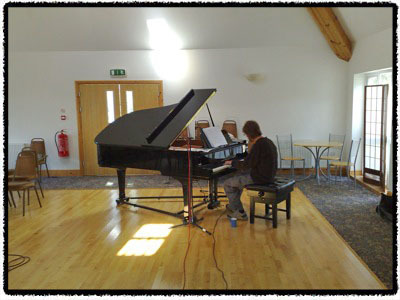 There is a Yamaha C7 grand Piano witch records extremely well. The hall has quite a large reverb witch works well on most instruments. It has floor space for up to 400 people about 2000 square foot. 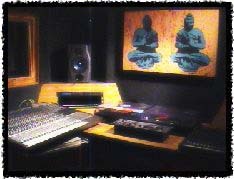 control room to listen to your track in another environment. and a good selection of games to keep you occupied. There is also a set of 1210's for DJ's.